Laser therapy uses light to favour and accelerate the body’s natural healing processes. The laser beam is moved over the skin so that the light energy penetrates the tissue, where it interacts with various molecules that cause different biological effects including increasing the healing process. We use the therapeutic laser on all of our surgical procedures except for mass removals, this machine is also used for chronic and acute pain, reoccurring cystitis and wound healing. Laser therapy is a medical treatment that uses focused light. Laser light is a very special kind of light. Unlike most light sources, it is tuned to very specific wavelengths. 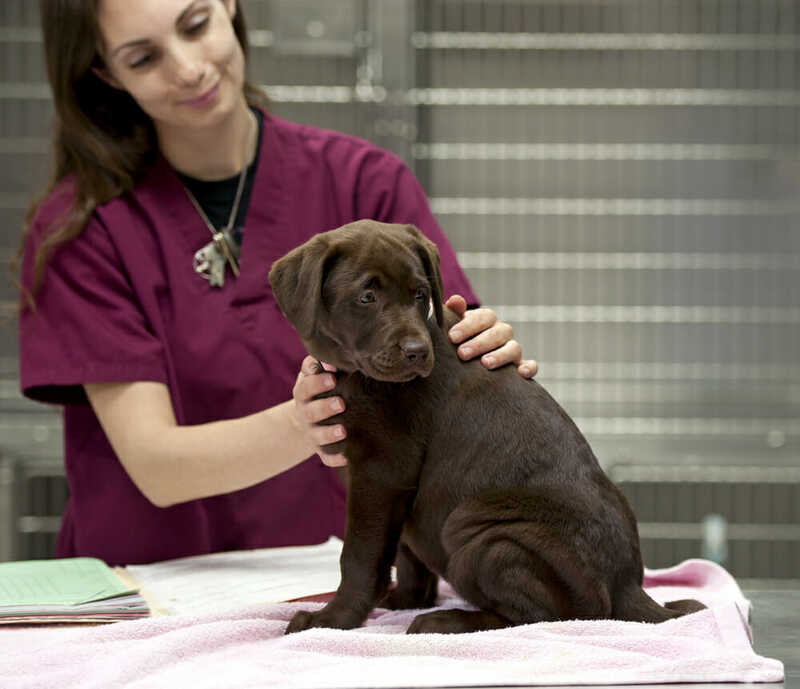 Our veterinarians and registered veterinary technicians have been trained in order to safely use the therapeutic laser and to provide the most effective treatments. Laser therapy has shown great success and benefits when treating some of the following conditions: osteoarthritis, back pain/injury, hip or elbow dysplasia, post-operative wound healing, trauma or injury (eg. sprains/strains, cruciate ligament tears), recurring cystitis. Are lasers dangerous for Cats and are there any side effects? Laser therapy is not recommended to use on patients diagnosed with cancer but otherwise, it is a very safe tool that can be used on cats and dogs. Possible side effects will be discussed with you by your veterinarian prior to starting laser therapy with your pet, even though very minimal side effects are seen.